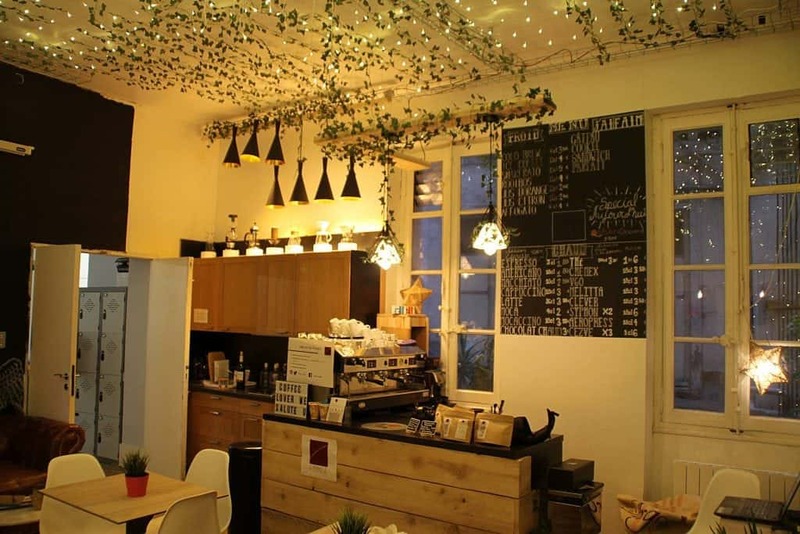 When googling for Toulousain specialty coffee shops the few reliable sources only gave me one find: La Fiancée. 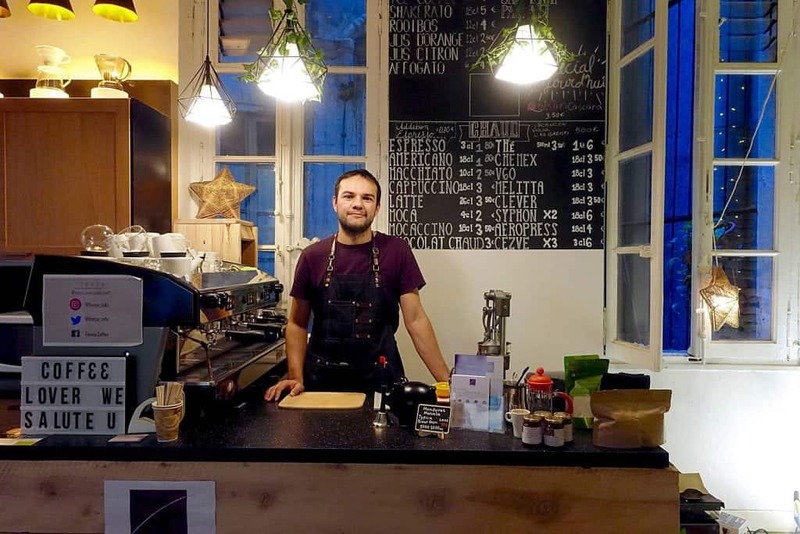 The specialty coffee scene in Toulouse started in 2012 but hasn’t picked up much speed since then. Bit by bit, new spots open, waiting to be discovered. Many locals still think that La Fiancée is the only third wave coffee shop in town. 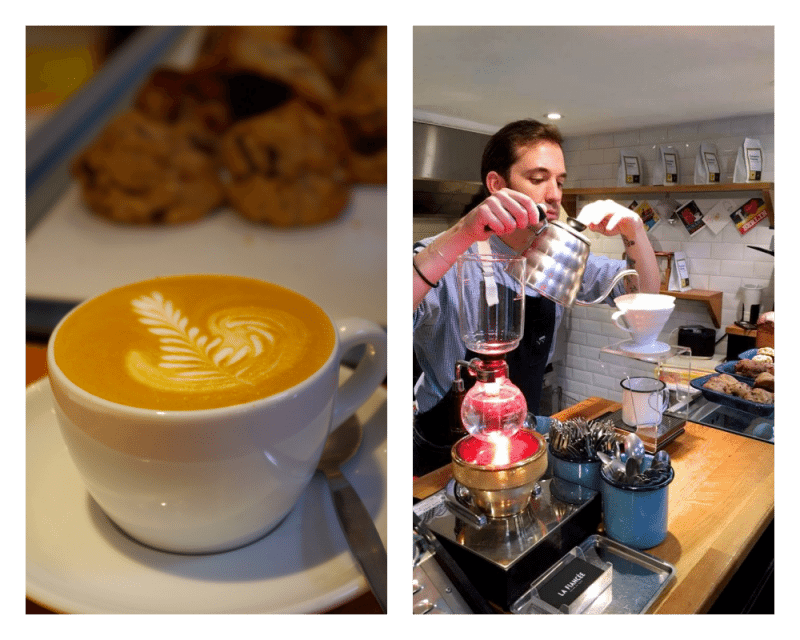 However, not far from here are three other cafés dedicated to this specialty of coffee. 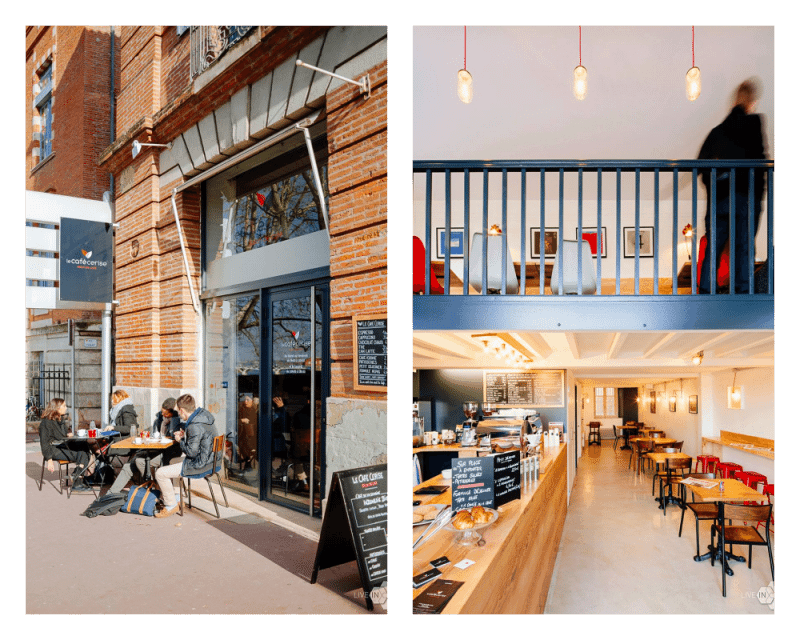 If I come back in a year, my discoveries might be outdated – baristas are hoping and waiting for this scene to finally become more established in Toulouse too. But for now, these four individual and very different specialty coffee shops are all I found in my quest. 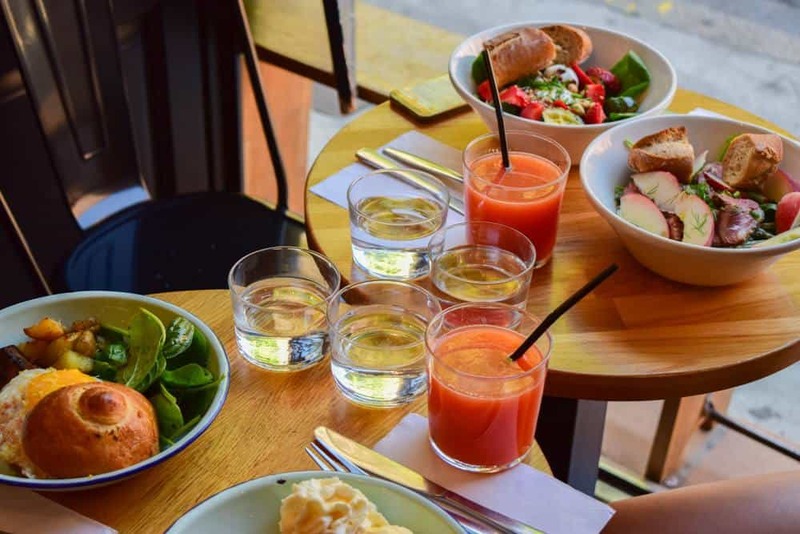 Finnca is Toulouse’s newest hidden gem since April 2017. It is as honest-to-goodness as can be. L’Anartiste opened in November 2016. It is sophisticated, modern and a real vintage artwork for itself. Le Café Cerise is a more well-known café, especially amongst students. Its open and down-to-earth atmosphere makes it a great spot to hang out and work. 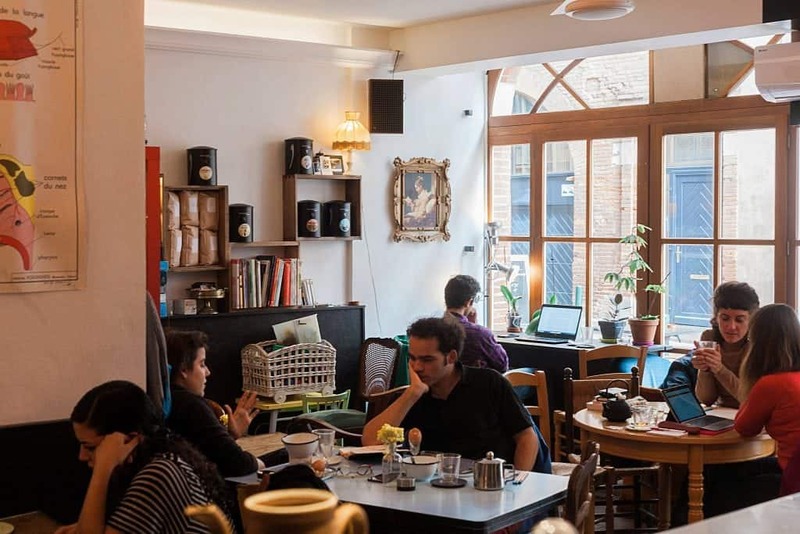 La Fiancée is Toulouse’s first and still most celebrated specialty coffee shop. Since 2012 they have served Coutume coffee in a stylish, American/Canadian style. 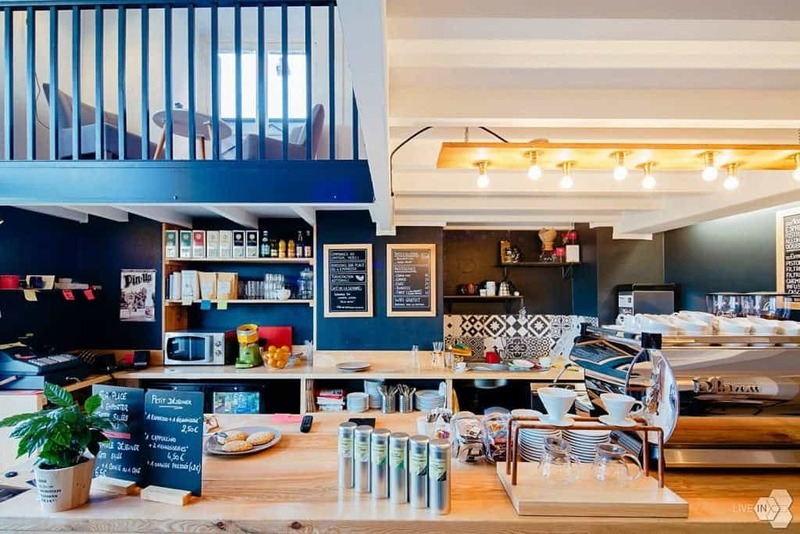 Toulouse’s newest specialty coffee shop seems like it doesn’t want to be discovered. But make the quest, because this is a really peculiar specialty coffee shop. You will find it hidden inside a co-working space on the third floor of a courtyard building. Carlos Rodriguez is everything behind Finnca. 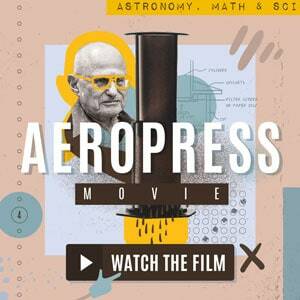 He grew up on his grandparents’ coffee farm in Columbia, where his coffee schooling started. Many years later, he learned more about engineering, did a PhD and had a successful job. But that didn’t interest him enough, so he turned back to his childhood memories – to coffee. Carlos is a bit frustrated with the image behind “specialty coffee”. 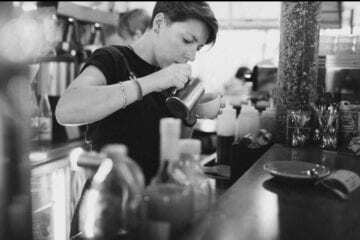 For some, the “big bearded baristas with tattoos” that know how to work behind a shining La Marzocco are enough. For Carlos, this movement starts with the philosophy of the coffee farms. 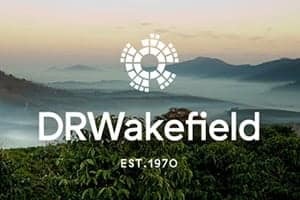 “There is not such a thing as specialty coffee, there are specialty farmers”, Leigh Rose, a big idol of him, said. Carlos works together with Leigh from Les 4 Coins, as well as Antoine from Kaffa Roastery. He offers two roasts that vary every few days. The filter methods are Syphon, Chemex, Aeropress, V60, Clever Drip, Melita, Kalita. 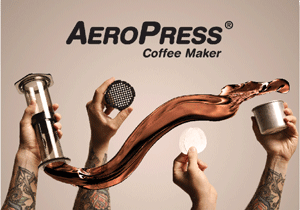 For espresso, although the menu might not list all the drinks, let your imagination go crazy. Carlos’ signature drinks change constantly. Some are technically always “on the menu”, except that they are not on the visible one. Only the regulars know what secrets he still hides behind his small glowing coffee bar. For example, the Violet Macchiato pimped with this very strong local Toulousain flower, or a Kilimanjaro Kangaroo which is one scoop of vanilla ice cream with a double shot of espresso, mint leaves, topped with coffee whipped cream. Carlos loves to experiment. 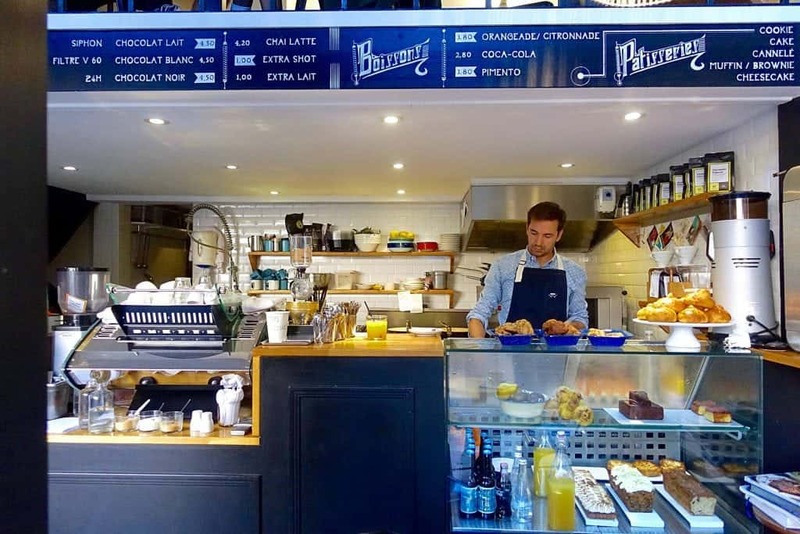 Finnca’s customers are a combination of the co-workers from next door and the Toulousain coffee geeks. Carlos knows the name of almost every one. There is so much to say about this great gem, despite its small proportions, but the one thing I must mention is Finnca’s workshops and events. Carlos organizes philosophical talks, cultural meetings and special versions of “speed dating”, for example with books. 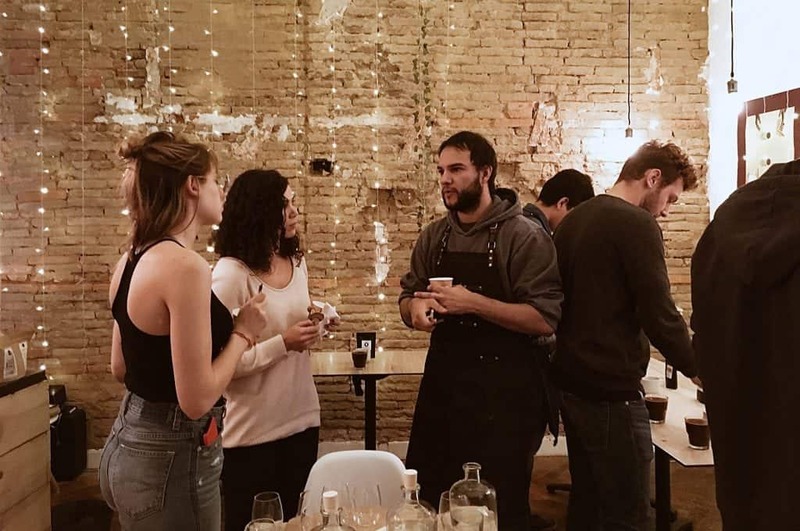 Of course, many events also include coffee, such as the unique coffee tastings during which he plays with the customers’ palates by having them eat insects or chocolate before and after sampling his roasts. Seek out Finnca for a specialty coffee. It really is one-of-a-kind. ‘Neither artist, nor anarchist, but anartiste,” is what Marcel Duchamp said. This “founder of contemporary art” is a big inspiration for Bruno Salviac. He was a contemporary artist himself before opening L’Anartiste in November of 2016. Here, he combined his artistic eye with a fine taste for specialty coffee and local wines in a homey, vintage atmosphere. At L’Anartiste, you choose between two espresso roasts and one filter roast. 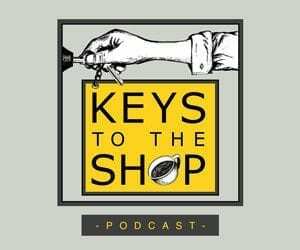 They change constantly but often come from L’Alchimiste (Bruno “just loves Arthur’s work”) or Kaffa Roastery. Most customers are French locals and regulars, many of them are not coffee specialists yet. So if they just ask for a normal coffee, Bruno will make the decision based on the time of day and what the customer chooses to eat. A lemon pie, for example, will be accompanied by a more fruity-acidic espresso. For the morning espressos, he will opt for lighter bodies to “slowly wake up”. L’Anartiste is a really artistic place on a calm neighbourhood street, great to escape the touristy buzz of Toulouse. Here, you can enjoy French breakfast, a homemade, locally sourced lunch, cake, or evening appetizers. Then read books, work on your laptop or chat with friends in vintage lounge chairs, along with your coffee served in a double-walled coffee glass. Valentin Tihy from Toulouse opened Le Café Cerise in November 2015. He first got to know specialty coffee at Lomi in Paris and afterwards discovered it at La Fiancée, in his hometown, Toulouse. 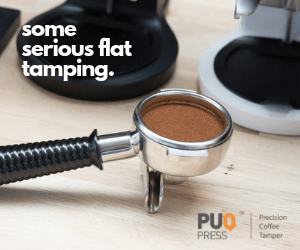 Then he decided to quit his job to open his own specialty coffee shop in Toulouse. Le Café Cerise (coffee cherry in French) found its home on a green street across the Garonne river. Here, customers are lured in by the sidewalk seating and a welcoming interior. Valentin is very passionate about working with locals. All his food is sourced this way, but also his coffee is from the best nearest roaster, Café Negril. They usually roast for traditional French cafés, so Valentin developed his own lighter specialty roast with them, just for Le Café Cerise. He uses this for both his espresso and filter drinks. However, in the near future, Le Café Cerise will have its own little roaster. At the moment Valentin is in Barcelona, at Esperanza Café, learning how to roast himself. 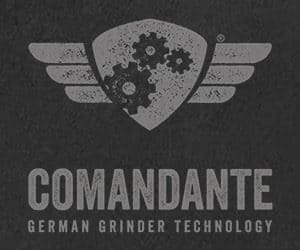 His goal is to be the pioneer specialty coffee roaster of Toulouse. Le Café Cerise is Toulouse's second most well-known coffee shop. It’s a great spot to work, in an unpretentious atmosphere with alternative-indie music playing in the background. Half the customers come for specialty coffee, the other half for their Saturday brunches. And for the people who don’t like coffee, Valentin can recommend the cascara that he brews hot or cold on spot. La Fiancée was Toulouse’s third wave pioneer in 2012. Many people still think it’s the only specialty coffee shop in town. Arnaud Pimenta and Olivier Coulomb, friends for 25 years who always met up at good coffee shops, realized that Toulouse needed one of those. They learned the craft from Coutume and still trust them for advice today. Coutume does “very good work, very good sourcing”. 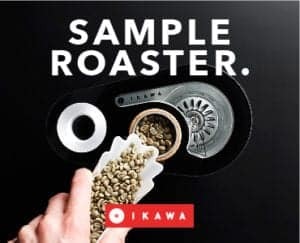 They have an “amazing profile of roasting, never deceiving”, Olivier says. So Arnaud and he have happily served their roasts for five years already. Due to the lack of space, La Fiancée only has one espresso and one filter roast, but both change frequently. The customers of this tiny, modern coffee shop are often foreigners. When you enter, you are already facing the coffee bar. So be ready to immediately answer Fiancée’s baristas, when they ask you where you are from. On my stay, I spotted people from Santa Barbara, Paris and Madrid. Many local foreigners, like people working at Airbus, are the group of regulars at La Fiancée. They know what to expect from third wave coffee and they find it here. La Fiancée is the most recognised attraction amongst the tourists of the specialty coffee in Toulouse. 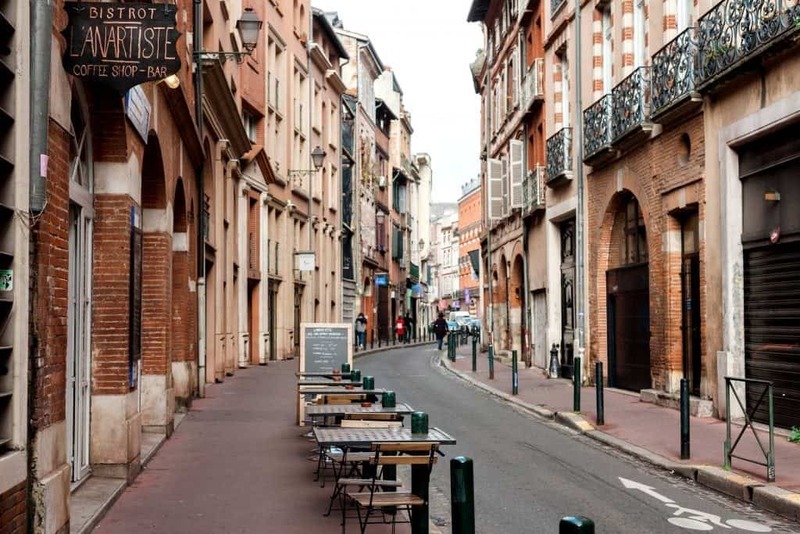 Toulouse’s coffee scene is still small but extremely interesting to discover. The four coffee shops couldn’t differ more from one another. 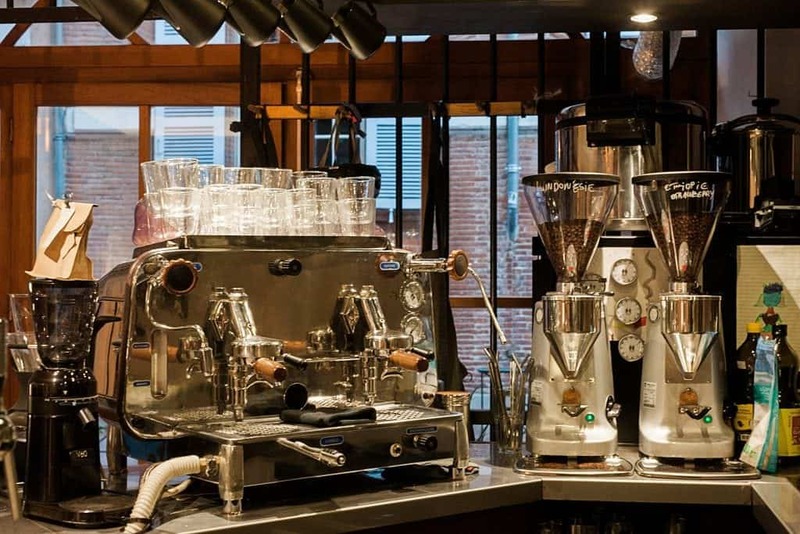 They all have their pros and cons, which is why you can only get the full picture of Toulouse's coffee scene once you have visited these four places.